Swing Arm Cutting Machines for a higly efficient production in all kind of industries: Swing Arm Cutting Machines for Automotive Suppliers and Swing Arm Cutting Machines for saddlleries. A swing arm cutting machine is a highly efficient machine for the cutting of small parts in small and mean lot sizes. 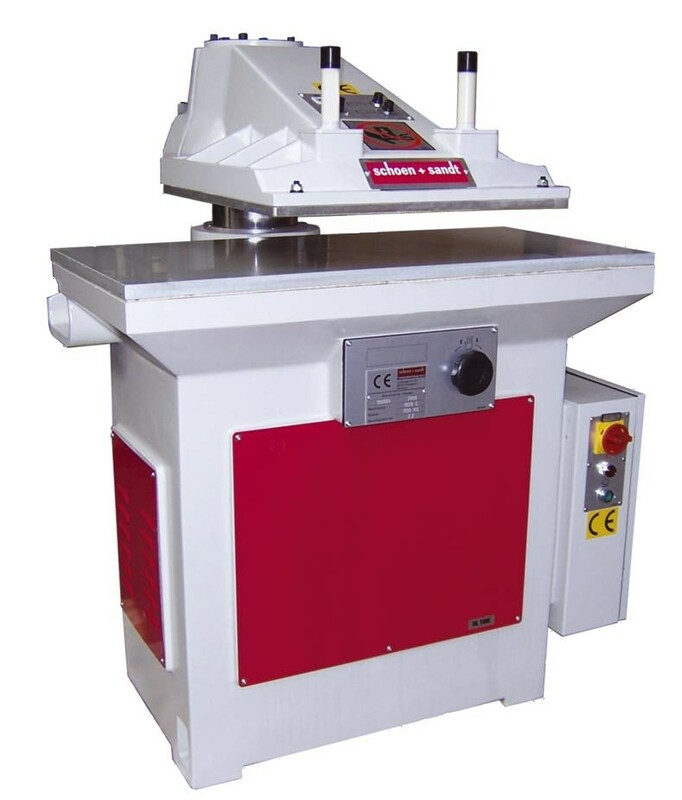 Swing arm cutting machines are highly efficient in all sizes of production. It applies in almost all application areas and you can find it in almost all industries from small saddleries up to great automotive suppliers. This type is also used as a further machine for the working of residual materials and in the lab. 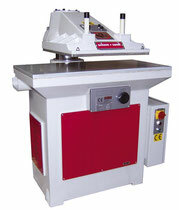 Hydraulic Swing Arm Cutting Machines - Different cutting methods e.g. Laser Cutting, Water Jet Cutting or Cutters with oscillating dies, our Swing Arm Cutting Machines requires a Cutting Die with complete contour of the cut part. Advantages of this cutting method is the complete and repeat accuracy cutting of a part in a reproducible work step. This means, that the accuracy of the cut parts are defined by the cutting die and will not be influenced by external causes. Especially in middle and higher production volumes, the costs incurred in a cutting machine by cutting tools and cutting plates are lower than comparable cutting technologies. 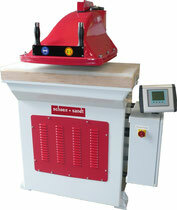 Buy Hydraulic Swing Arm Cutting Machines from the Expert in Germany. Long Term Know-How in Swing Arm Cutting Machine Technology.